The city of Brest became a symbol of courage and heroism of Soviet soldiers at the beginning of the great Patriotic war. 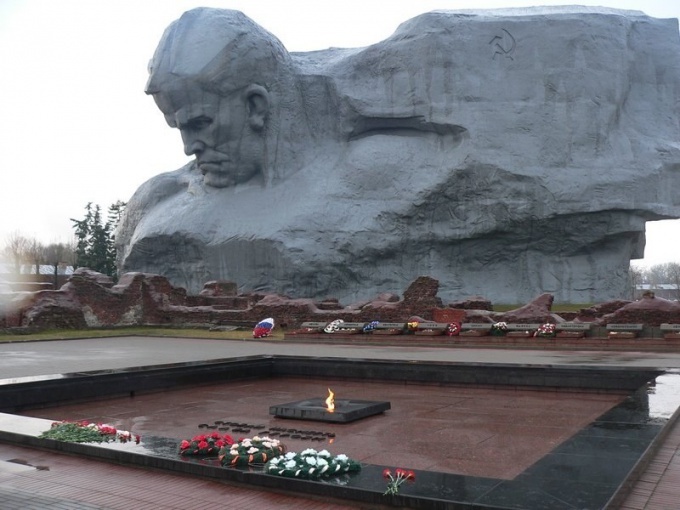 After all, here are the legendary Brest fortress. All year round to the legendary citadel has not dried up the flow of tourists. By plane to Brest to get extremely uncomfortable — the nearest airport is in Minsk. That is why the easiest way to travel from Moscow to Brest on the long train. From Belarus station every day, go to the following compositions: "Moscow — Brest", "Moscow — nice, Moscow — Paris", "Moscow — Warsaw, Moscow — Cheb". Get off at the station "Brest-Central", and the travel time to the destination is about 13 hours. There is an option to travel by bus once a day leaving from the Shchelkovo bus station. Along the way to the station "Brest. Bus station" is 16 hours and 40 minutes. To get there by car from Moscow to Brest is easy and safe. The fact that Belarus has very good roads, and the second part of the journey will turn into a real pleasure. So, it is necessary to go to Minsk highway, which then goes into the highway M1 "Belarus" and keep moving along the main road, bypassing the cities of Vyazma and Smolensk. After the formal passage of the Russian-Belarusian border also need to only go along the main route E30 via Borisov, Minsk and Baranovichi. From Baranovichi to Brest will be about 70 miles, and the road will take time not over 16 hours. The only thing that may delay in transit, so it turns on the Russian-Belarusian border. But there are fans who like to travel to Brest, not only through the territory of Russia and Belarus, but also a little bit stopping on the territory of Ukraine. To do this, Moscow must move on the highway M3 "Ukraine" via Kaluga and Bryansk until Russian-Ukrainian border. On the Ukrainian territory it is necessary to pass Chernigov, and then cross the Ukrainian-Belarusian border and through Gomel, Mozyr and Pinsk who need to drive on the highway A-240, to reach the destination. In this case, the road from Moscow to Brest will take about 23 hours without stops.